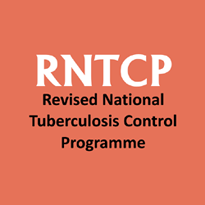 Revised National Tuberculosis Control Programme (RNTCP) Narmada Published Recruitment Advertisement for District Program Coordinator Posts. View More Information like Total Posts, Posts Name, Age Limit, Qualification, Application Last Date, How To Apply etc.. are Given Below. Educational Qualification & Other Details : Read Official Recruitment Notification for Educational Qualification & Other Details. How to Apply : Interested and Eligible Candidates can Send Their Application to Below Mentioned Address Along with Necessary Documents. Send Application to This Address : District TB Officer Office, District TB Center, Civil Hospital Campus, Rajpipla, Dist. Narmada. Important : Please Always Check and Confirm the Above Details with the Official Website and Advertisement / Notification.